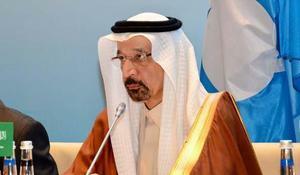 The decision to extend the OPEC+ deal may be made in June this year, Minister of Energy, Industry and Natural Resources of Saudi Arabia Khalid Abdulaziz Al-Falih told reporters on the sidelines of the 13th meeting of the OPEC/non-OPEC Joint Ministerial Monitoring Committee (JMMC) in Baku, Trend reports March 18. 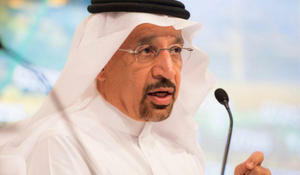 The main goal of oil-producing countries is to normalize global levels of oil reserves, said Minister of Energy, Industry and Natural Resources of Saudi Arabia Khalid Abdulaziz Al-Falih, Trend reports March 18. Confidence in the oil market returns gradually, Khalid bin Abdulaziz Al-Falih, Minister of Energy, Industry and Mineral Resources of the Kingdom of Saudi Arabia, said during a press conference following the OPEC+ meeting in Baku, Trend reports. The implementation of the OPEC + agreement will exceed 100 percent in March, Khalid bin Abdulaziz Al-Falih, Minister of Energy, Industry and Mineral Resources of the Kingdom of Saudi Arabia, said during a press conference following the OPEC+ meeting in Baku, Trend reports. 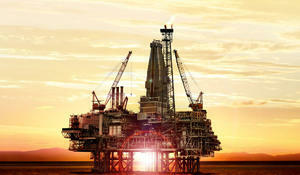 Large quantities of gas have been discovered in the Red Sea, Saudi state news agency SPA quoted energy minister Khalid Al-Falih as saying, Trend reports citing Arab News. Today, Kyrgyzstan and Saudi Arabia have a mutual desire and considerable potential for developing cooperation. 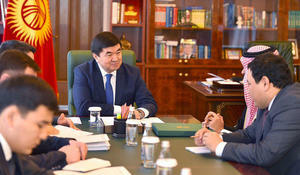 This was prove once again, as Kyrgyz Prime Minister Muhammedkaliy Abylgaziyev met with Ambassador of the Kingdom of Saudi Arabia to Kyrgyzstan Abdurrahman bin Said Alzhuma. 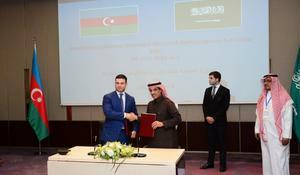 The fifth meeting of the intergovernmental commission between Azerbaijan and Saudi Arabia was held in Baku on March 4. 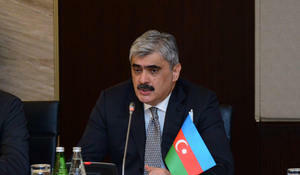 Azerbaijan and Saudi Arabia are interested in expanding air communication, Azerbaijani Finance Minister Samir Sharifov said at the fifth meeting of the Azerbaijan-Saudi Arabia intergovernmental commission in Baku, Trend reports March 4. President of Azerbaijan Ilham Aliyev has received a delegation led by governor of the General Investment Authority of the Kingdom of Saudi Arabia, co-chair of Azerbaijan-Saudi Arabia Joint Commission on Cooperation in the fields of economy, trade, investment, technology, culture, sports and youth Ibrahim bin Abdul Rahman Al-Omar.